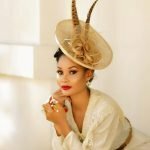 Tanzanian singer, actress and model, Hamisa Mobetto, has been making the headlines recently, whether, husband-snatcher or dumped. But she ignored it all, and crowns us with her new single. Hamisa´s song dubbed ´My love´ self-praises her of her love expertise and body physique. The song is quite contrary to her actual life filled with previous failed relationships, some even hardly last 3 months. She actually categorically states that her love is expensive and of value. ´My Love´ comes in after her last single, ´Sawa´ was nothing short of a success, neither was ´Tunaendana´ and ´Madam Hero´ hit singles. If you never thought, the model could get down low, then you should hit the ´Play´ button. To ever other person´s amazement, she graced the music scenes and has not been a disappointment. Seems the video vixen is her to stay based on the fact that, she bagged over 1 Million views for ´Tunaendana´ and ´Madam Hero´. As we speak, her views hit 16,000 for her new single, ´My Love´ in the span of an hour and are currently at 150,000+ views. The post ¨Mobetto, that´s my name, Penzi langu ni ghali¨ here is Hamisa Mobetto´s new single that self-praises her love expertise appeared first on Ghafla! Kenya.